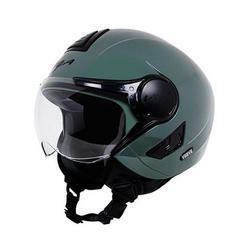 FIZEN is a Full Face Helmet with cerbonised non painted finish.it is equipped with hardcoated molded polycarbonate visor with five gears.We provide best quality Full Face Helmet to our clients with affordable price. 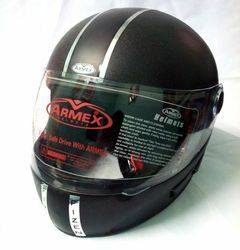 We feel immensely pleased to supply an exclusive gamut of Full Face Motorcycle Helmet. Our expertise allows us to offer high quality Cruise Decor Full Face Helmet to our esteemed clients. We give customization services to our clients as per their given specifications. The quality analyst checks the range under various required parameters.